Order within 1day 20hrs 11mins for delivery Tuesday 23 April using next day delivery at checkout. 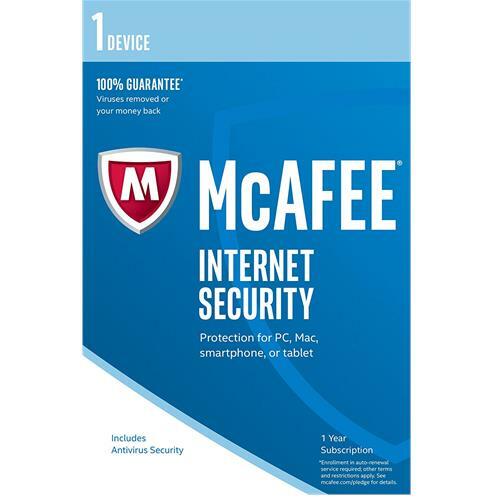 With a quick install, it blocks threats using antivirus that’s verified by independent tests — now backed by our 100% Guarantee: a McAfee expert will remove a virus, or your money back! Additional terms apply. Also includes the True Key app, which securely remembers your passwords and instantly logs you into your websites and apps. The True Key by Intel Security: Recognises your face or fingerprints, secures your passwords, and instantly logs you in to your websites and apps across your devices. Parental Controls: Block web sites and search results you don't want your kids to see. Also lets you set limits for how much time they spend online.